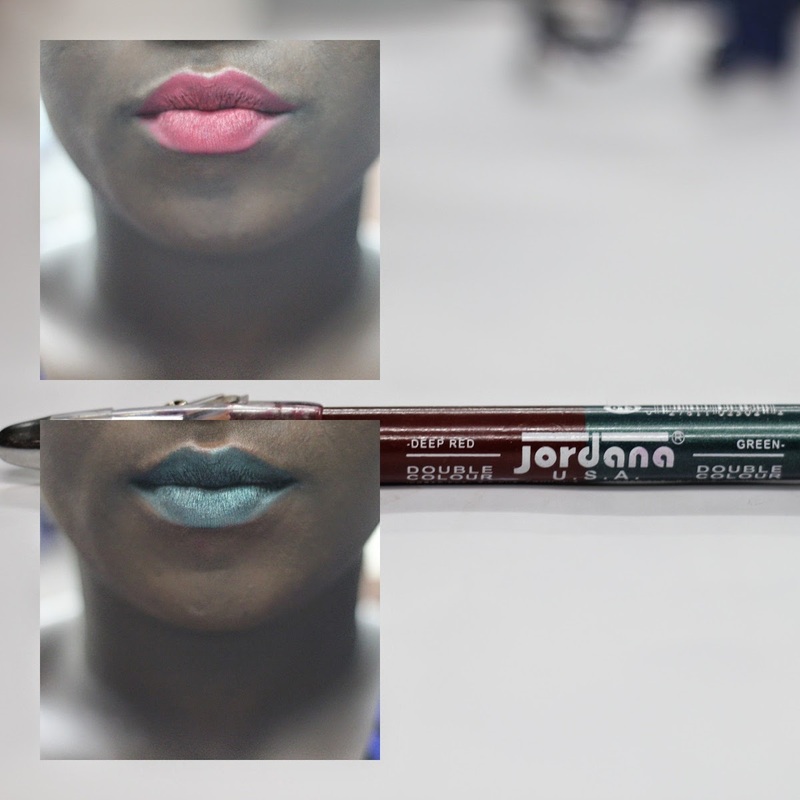 so recently discovered these Jordana Pencils and i thought it would be helpful to do a review on them. A while ago i saw my friend Dayo with really nice makeup, her lips and eyeliner were the same color and she told me she used one of those fat pencils. When i found out there were more colors i just bought all of them. And isnt it awesome that each pencil has 2 colors and so we dont have to buy individual colors?? Each pencil cost me 200naira, i bought them from Iya Peju at Moremi but it will probably be alot cheaper if you go to the market. 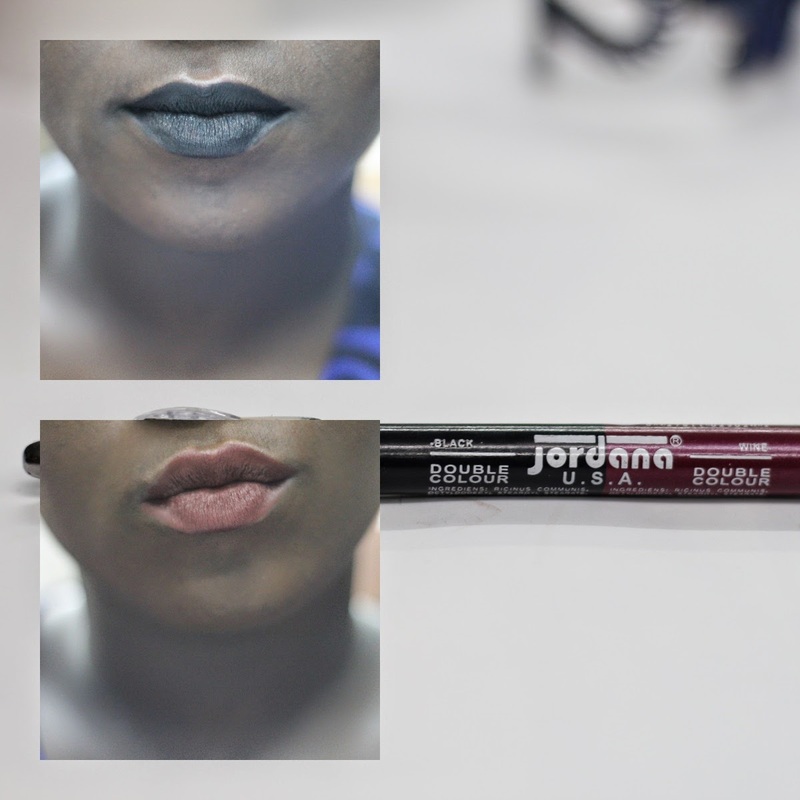 They can be used as eyeliners and lipliners. I like to use them on my lips because they last the whole day, no matter how much i eat or drink. 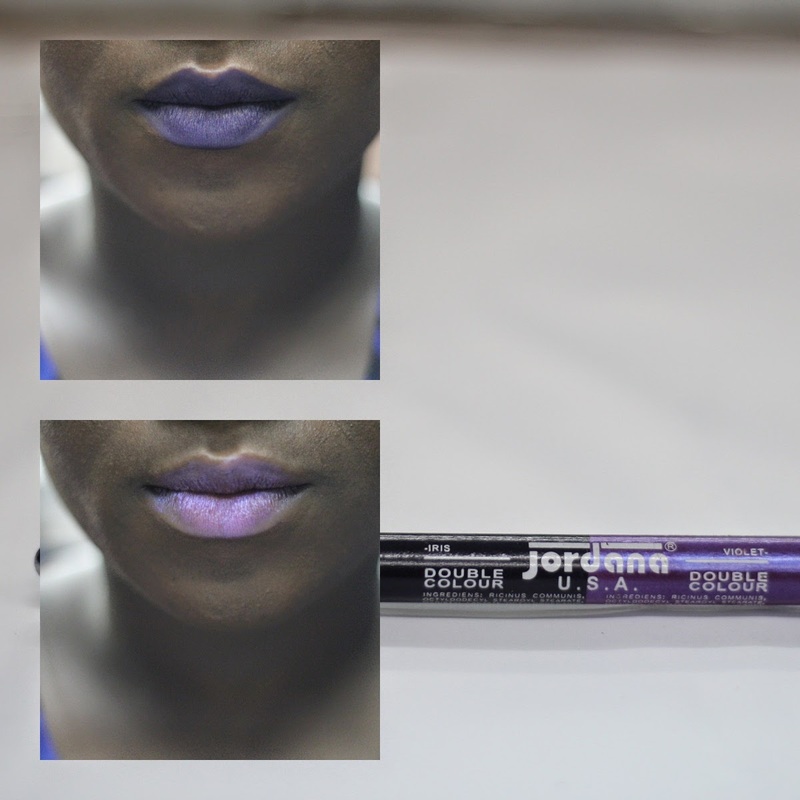 The glide on pretty well and the only color that was a bit difficult is the Saple, it's a bit slimy and looks super weird when i apply it fully so i only use it for ombre looks as shown above. 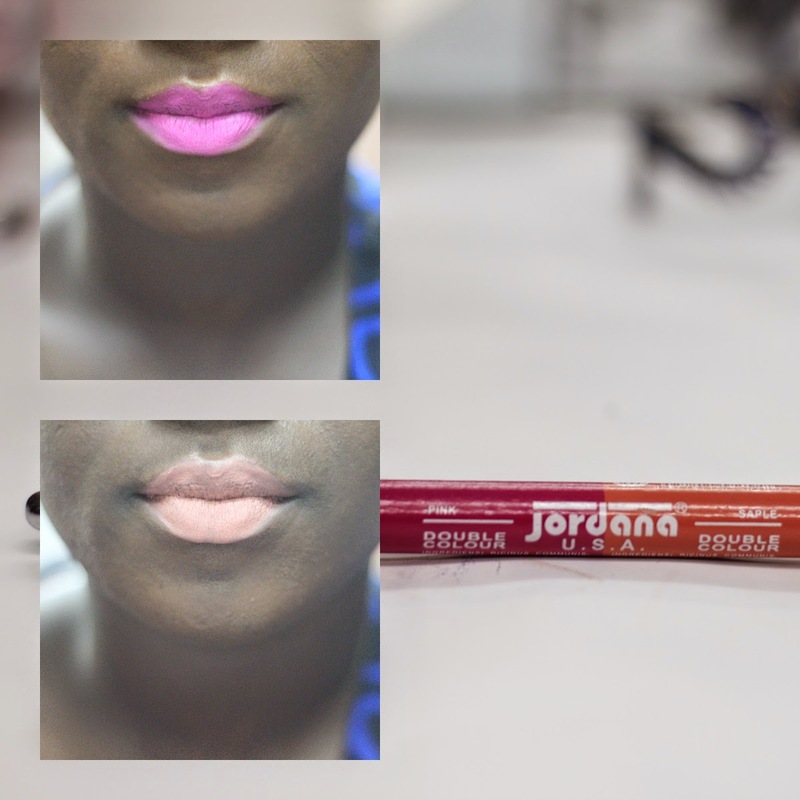 Since i got these pencils i stopped wearing lipstick and i dont even need to apply lipbalm before using them. I have come across them before...... the blue is really gorgeous tho and the deep red too. Interesting, haven't heard of them before. I need to get some, (trying to learn alot in the makeup department). The blue is gorge. Oh, wow! I have the Jordana Eyeliner Pencil in 08 Chocolate and I use it for my brows. 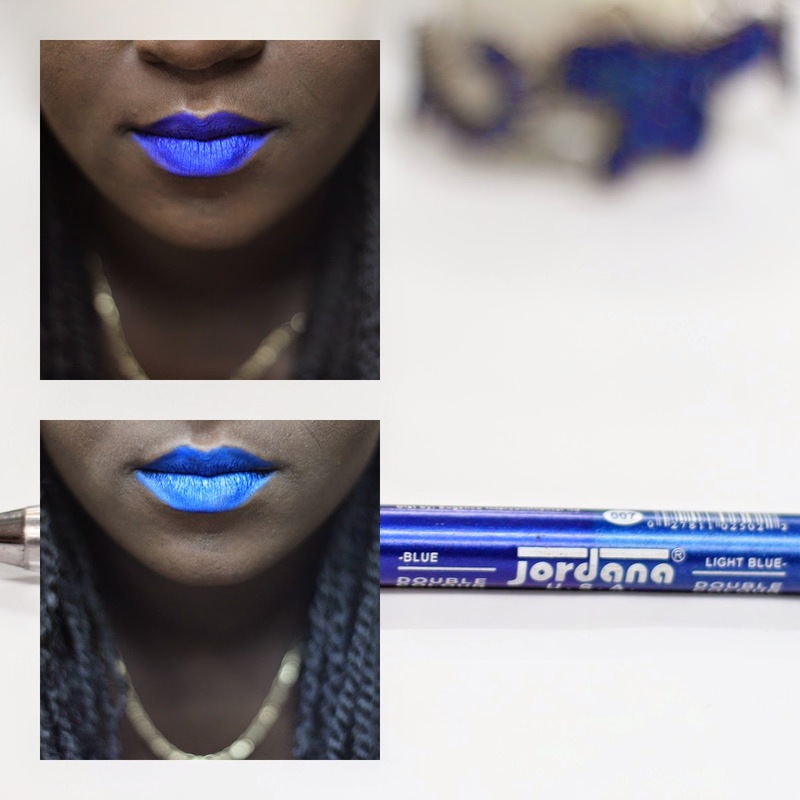 I got it from Stella's Addiction for N500, deffs need to find an Iya Peju and try out these duo pencils, or better still go to the market. Thanks for the info Mide, cheaper makeup alternatives for the win! Need myself some, the colours are super fabulous. Oh wow! Seen this pencils around. Didn't know they could be used as substitutes for lipsticks. Thanks for the info. Hey! What camera do you use? Love the quality of your photos!!! Lovely review, just might get that blue, electric !! bought them for 100 naira or so a while ago but I threw them away cos they were too fat. I need to try them again.